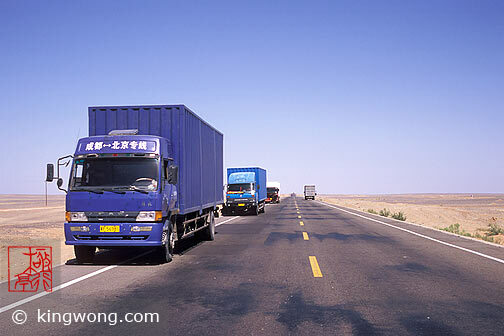 Cargo trucks are a common sight throughout china's highways. The mobile workhorses of her growing economy. In the western regions it's easy to compare these trails of metal beasts to the camels that used to slave through the unbearable deserts. Now the camels are merely funny tourists sights. Their burden shifted to motor vehicles that move no faster than them.